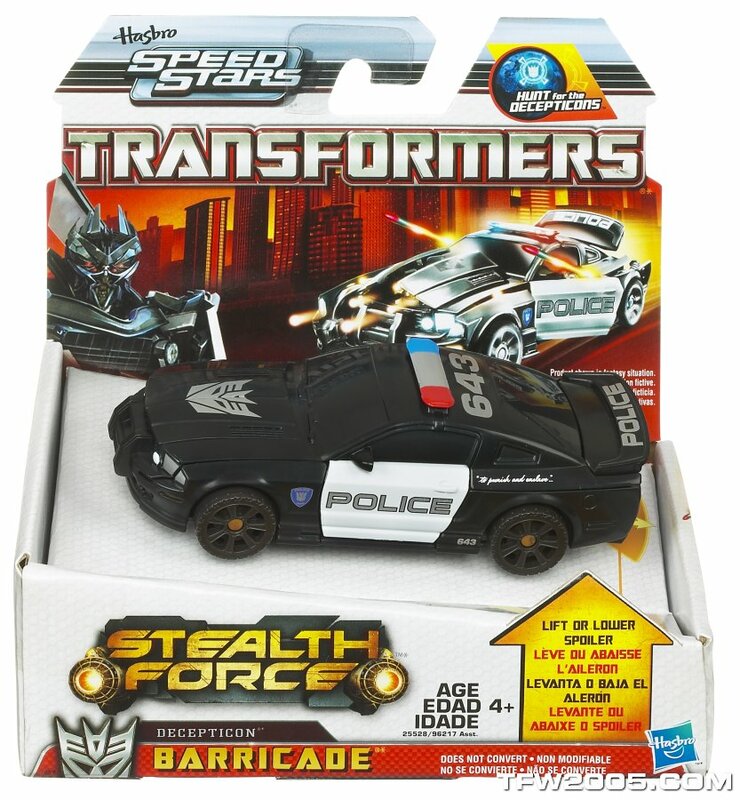 BARRICADE keeps a vast collection of images from across the galaxy recording the surprised look on his victims' faces when they first see weapons spring out of his vehicle mode. 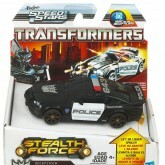 He's practiced the deployment to gain maximum shock value. 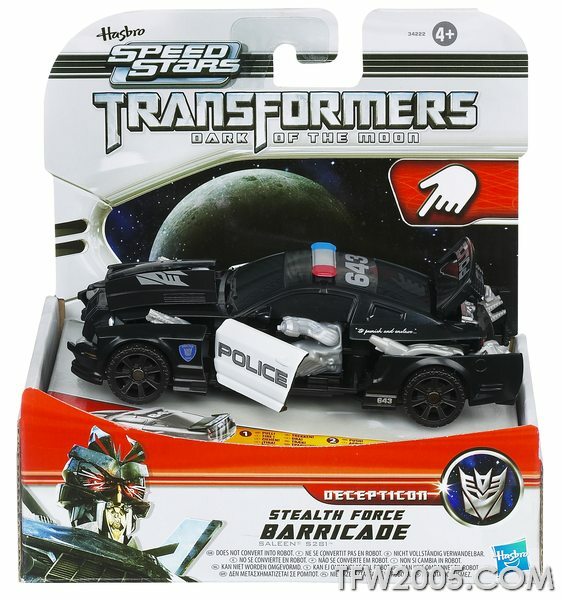 Scaring people with cannons is the closest thing he has to fun. 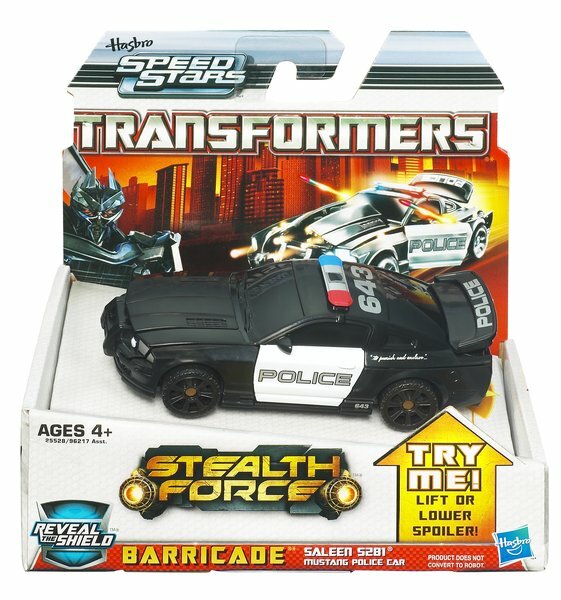 Three versions - Initial with Decepticon logo in lower left, Reveal the Shield version with the Reveal the Shield logo replacing Decepticon logo (and rubsign variant toy as described above), and Dark of the Moon branded packaging. 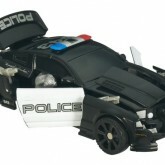 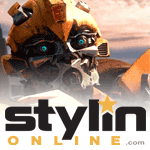 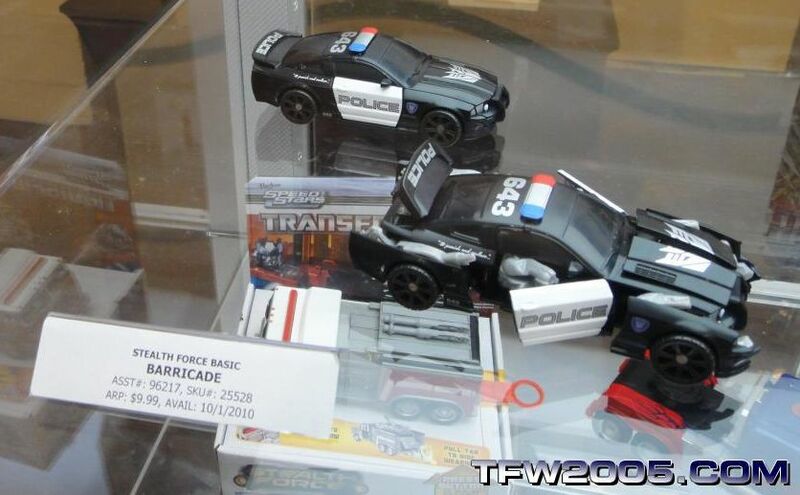 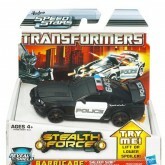 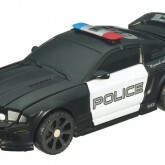 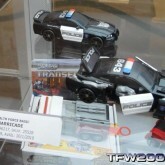 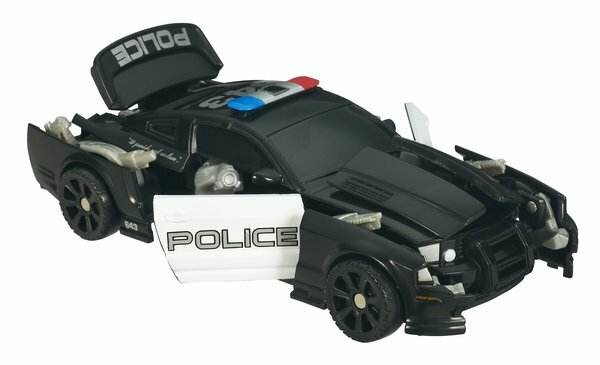 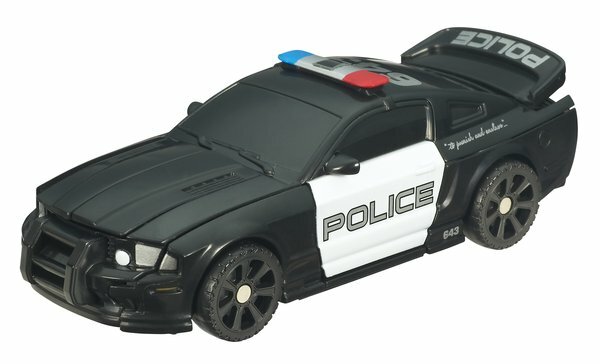 For wave 3, Barricade was altered to remove the large Decepticon symbol from his hood, and instead featured a rubsign on his lightbar as a part of the "Reveal the Shield" promotion. 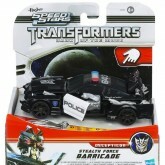 He was re-released in the first wave of Dark of the Moon Stealth Force, where his deco was the same as his initial release.